The state government of Delhi has announced a fantastic piece of news that is expected to benefit lakhs of people by providing them with easy access to the essential supplies. This strategic step by the government will not only fetch much awaited relief to the residents of Delhi, but also ensure complete transparency of process. Now there will be no need to run here and there wasting a lot of unnecessary time for renewal of your previous ration card or applying for a ration card for the first time. The state government of Delhi will introduce the facility of online application forms to procure E-Ration card in a few simple steps. This gesture on behalf of the government is an extremely welcome move that will simplify the entire process and save precious time. 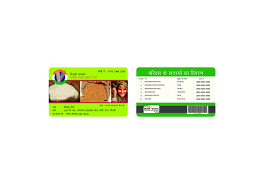 A ration card is an extremely essential document issued as a part of the Public Distribution System of the respective state government. Ration cards enable the purchase of basic supplies such as food grains, pulses, kerosene oil and other important items of daily life at subsidized rates from fair price shops set up by the government. Besides this, ration cards are very important documents used for the purpose of identification of a citizen. Now one can easily apply online for their E-Ration card which can be used as a valid proof of identity at the time of application for other significant documents ranging from SIM cards and driving licenses to passports and certificates of Domicile. Prior to this system of online application, an individual was required to visit the District Food and Supplies controllers or officers, assistants and inspectors to get hold of the form for application. At present, all they need to do is to visit the concerned website and fill in their personal details accurately. The new E-Ration cards will be issued by the department of food supplies and consumer affairs under the government of Delhi. Prior to this, the concept E-Ration cards by the method of online application has already been introduced in the state of Uttar Pradesh. The government aims at the complete elimination of corruption surrounding ration cards due to which poverty stricken, needy people are being deprived of their rights, day after day. It is often seen that the beneficiaries of valid ration card holders are not getting their due supplies of commodities at subsidized prices. Under this new online facility, whenever an individual applies for a ration card, an SMS alert would be available to the eligible beneficiary. After successfully submitting your complete information, you can take a print out of your fresh E-Ration card for use. The ones who are already the holders of valid Aadhar cards, can apply online for ration cards with the least difficulty. All you need is the registration details of your Aadhar card. The government is also initiating steps for linking ration cards with Aadhar cards so that no confusion arises in future pertaining to the identification of true beneficiaries. This will lead to a lot of transparency and leave minimum scope for corruption and misuse. The E-Ration card facility introduced by the chief minister of Delhi has made it possible for all citizens to apply for new ration cards while sitting at home. Details regarding the avalibility of essential commodities and the costs of purchase will also be made available online under this new initiative. Any problem related to this shall be addressed by the respective MLA offices. For this purpose all members of the legislative assembly of Delhi have been appointed as nodal officers of the Khadya evam aapurti vibhaag of Delhi. In order to avail this online facility, the interested applicants need to log in to the official website of the food security department of the state government of Delhi. They will find the direct link of the application given there. All that is required is the filling up of correct details such as the old ration card number, NFS application ID or the Aadhar number of any one of your family members. After successful submission you will also have the option of tracking the current status of your application. 0 Komentar untuk "How to get Ration Card Status Online in Delhi - E Ration Card"